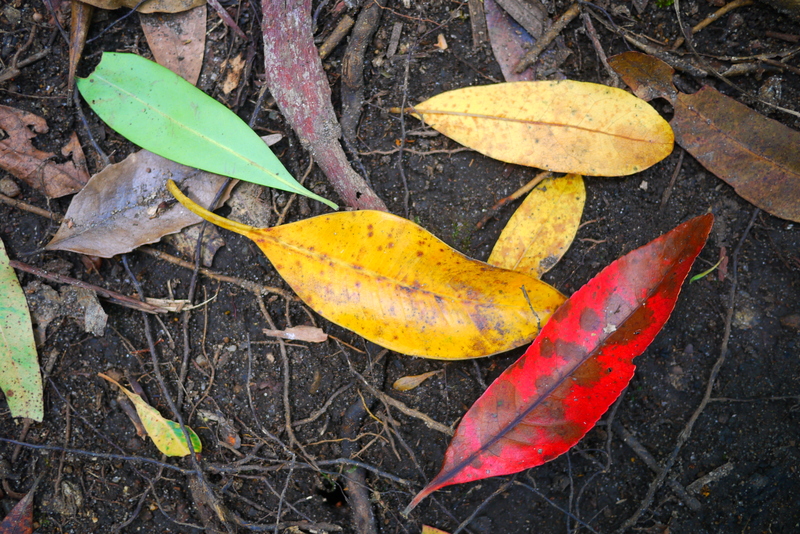 The satisfying crunch of gum leaves underfoot beckons me back to the bush. With the passing of city-dwelling days, I ache for the steady stomp of the track, for the calming flutter of canopy leaves. My mind traces the memory of dizzy squiggles in smooth, pale trees, and sways to the rhythm of the brush cuckoo’s call. Walking, hiking, oh joyful wilderness adventures; it has become my steady remedy. It refreshes my soul, quietens my mind and opens my heart to the curiosities of the natural world. The scrub-thick tracks, rocky mountain trails and dewy subtropical forests of South-East Queensland are a delight to explore. Radiating in each direction from my Brisbane base, I’ve found this pocket of the state hosts many a remote, varied and inspiring walk. These are some of my favourite national parks for bushwalking close to Brisbane. Less than an hour north of Brisbane, these odd-shaped volcanic remnants jut into sky as a series of rocky peaks among dry shrub and gums. There are 14 mountains in this range, an area that covers more than 600,000 hectares. Walking tracks are graded between Class 2 and Class 5 and are mostly short walks that are doable in less than a day. 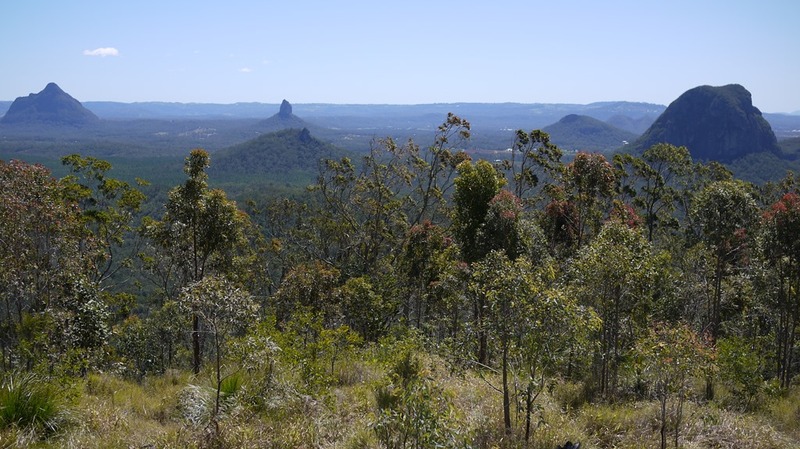 The Mount Tibrogargan Summit, which is a Class 5 hike / climb known for being dangerous if tackled by reckless or inexperienced climbers (but great summit views). Hot tip: Walking poles are a good way to save your knees in steep descents, help support your strides in long walks and take the pressure off any niggling injuries. I’ve always avoided poles, wanting to be lightweight and nimble, but lately I’ve been trying out the single Cotswold Explorer UL telescopic walking pole and am impressed by the way it tucks effortlessly onto my pack when I don’t need it. 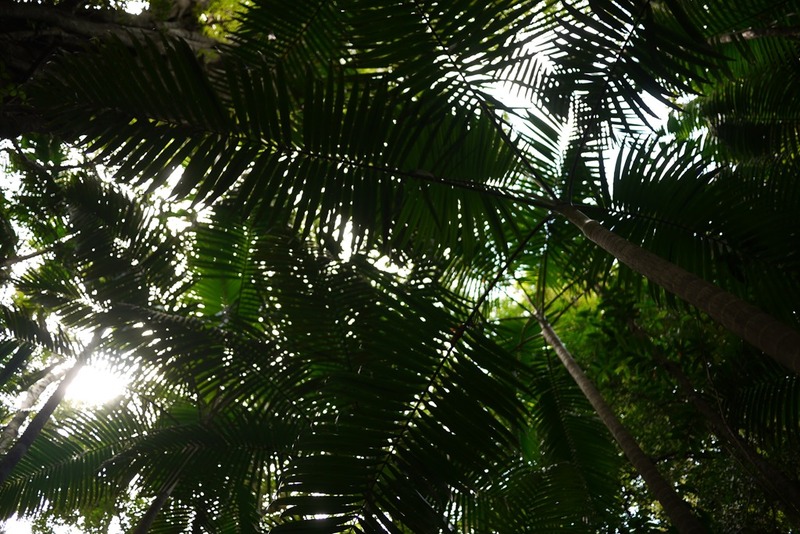 Another natural playground close to Brisbane is D’Agular National Park, which is divided into two sections. The South D’Agular section sweeps from the popular Mt Coot-tha, alongside the charming Samford Valley around Mt Nebo and Mt Glorious, reaching west to Lake Wivenhoe. It has 17 tracks to choose from, mostly short walks under two hours, with a handful of more difficult walks between two and three hours and a few long walks ranging from 17-24km. A personal easy favourite is the Westside Track, which is just more than 6km and offers a great western aspect. The Mt Mee section is more northerly, with Lake Somerset to the West, the magical Woodford to the north and delightful little creeks and falls throughout. There are fewer walks in this section, but lots of little creek-dwelling delights to linger upon. 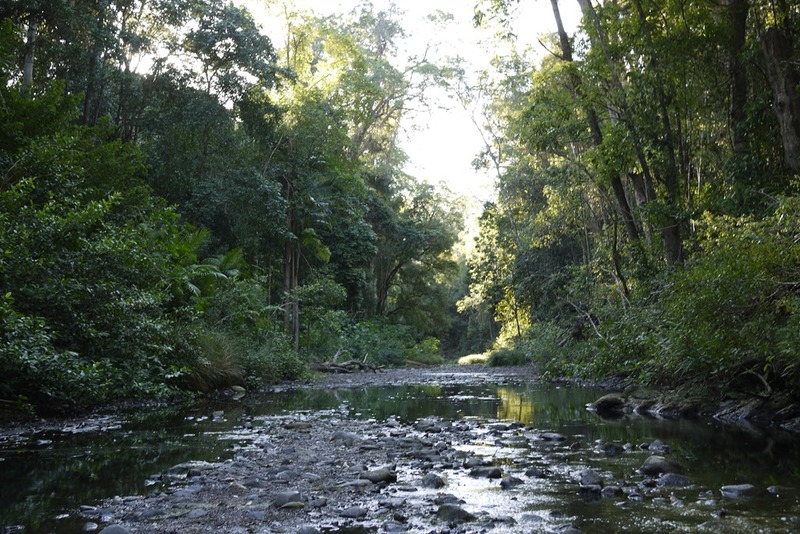 Try the 13km Somerset Trail from the Gantry to experience a lovely mingling of scrub and gum and subtropical forests. 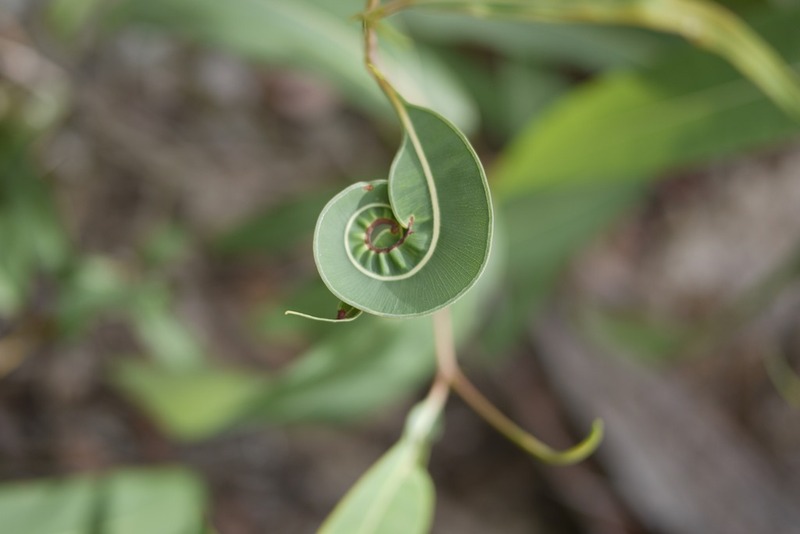 The very short creek-side Lophostemon walk is worth a look if you’re camping at Neerum Creek. Hot tip: All Queensland national park walks are graded for difficulty to help you judge which trail best suits your ability and enthusiasm. Read more about the standard track classes on the official Queensland Government webpage for each national park. Wandering further north again, the Conondale National Park is a walker’s wonderland located a little way past the artisan township of Maleny. Best known for it’s four day, 56km Conondale Range Great Walk circuit, this hinterland national park has eight walking tracks in total. My recently discovered favourite is the Artists Cascades track, a 10km return walk . It takes you through thick subtropical rainforest, past the impressive 3.7 metre high Strangler Cairn sculpture by Andy Goldsworthy, and down into a cool, serene a gully that’s perfect for picnics and a cheeky dip in the cascades. Be sure to check the access to your chosen walk, as there are some creek crossings that need 4×4 vehicles or a willingness to walk shoes-in-hand through shin-high water. Hot tip: Make sure you check the Queensland Government website for closure notifications and alerts, as there are often closed tracks. Get ready by checking what to take on your Queensland hiking adventure. I’ve never bushwalked but I have a friend in Melbourne who does and I’m eager to try it with her one of these days. It looks like a great experience! The last photo has a beautiful color combination. What distance do you usually cover in your bushwhack adventures? Hey Bespoke Traveler – thanks, I really like that shot too. My walks around Brisbane are usually 5-10 km but every now and then I do something around 15-20km. In a couple of weeks I’ll be doing some hike-in camping around Mt Barney with some longer day walks. Certainly have to make time for some longer adventures like the 50+km Great Walk in Connondale . and the Great Sandy National Park up past Noosa. Have you done much walking in Aus? I have yet to go visit Australia, but it is a country I would love to explore. Your hikes are inspiration for places I want to discover.